The annual delivery of free food caddy liners has started to all 34,000 homes in the Derbyshire Dales. This is being undertaken by a dedicated team – not bin emptying crews – and the deliveries will take around three weeks to complete. Residents are advised that if they haven’t received their year’s supply of caddy liners by the end of May, they should email waste@derbyshiredales.gov.uk or contact the District Council’s Waste Helpline on 01629 761122 before 30 June. Properties that use black sacks for household waste collections will also receive a free roll of sacks during April and May. The same applies to residents who have subscribed to the council’s compostable scheme for garden waste. 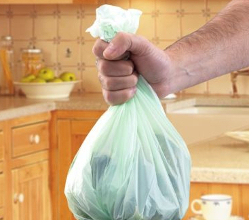 Anyone who currently uses black sacks for household waste and hasn’t yet subscribed to the compostable sacks scheme for garden waste can complete the online form at http://www.derbyshiredales.gov.uk/waste or call the Helpline number above. If black sacks/compostable sacks have not been delivered by the end of May, residents should contact the District Council before 30 June as sacks will not be delivered after that date. Here are the 2016 match fixtures for Elton Cricket Club. Click on the image below to open the document in full.